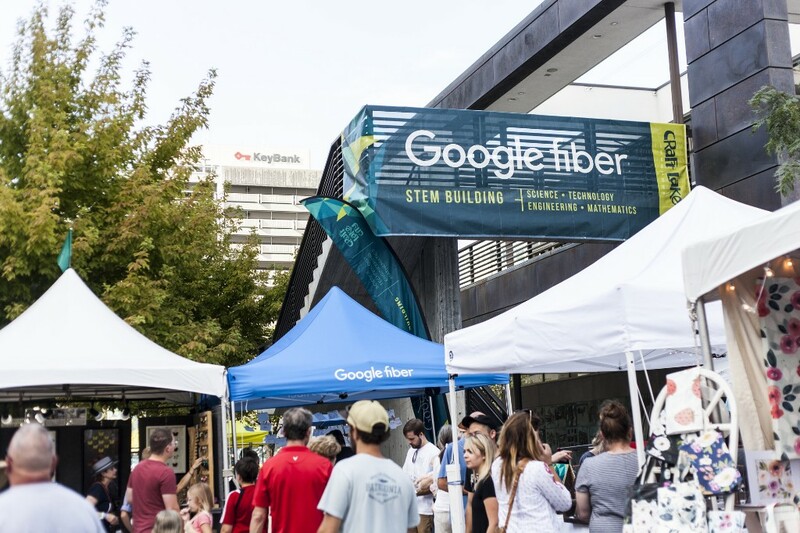 Salt Lake City, June 20 – Craft Lake City® is pleased to announce that Google Fiber will return as sponsor of the STEM Building at the 10th Annual Craft Lake City DIY (Do-It-Yourself) Festival®, held on Friday, Aug. 10 from 5 p.m. to 10 p.m., Saturday, Aug. 11 from noon to 10 p.m. and Sunday, Aug. 12 from noon to 7 p.m. Google Fiber is sponsoring the STEM Building at the DIY Festival for the fourth consecutive year. One of the most popular destinations at the DIY Festival, the Google Fiber STEM Building features local tinkerers, tech startups, nonprofit organizations and educational institutions and provides a unique opportunity to learn about STEM (science, technology, engineering and math) projects happening in Utah. STEM crafts let attendees get hands-on with topics such as circuits, mechanics, programming and more. Festival-goers can have their curiosity satisfied by stopping by the Meet a Scientist table, which lets the community engage with local experts in a range of science, math, technology and engineering topics. In addition, the Google Fiber STEM Building will feature FREE educational workshops in STEM topics throughout the weekend. Topics at last year’s festival included bot design, eclipses, circuit bending and more. Stay tuned for more information, coming soon to craftlakecity.com. The Craft Lake City DIY Festival is Utah’s largest local-centric, three-day arts, science and technology festival, with over 250 local artisans, DIY engineers, vintage vendors, and craft food creators, two stages of music and dance performances, youth vendors, local food trucks, and approximately 20,000 attendees. The DIY Festival will be held at the Gallivan Center, 239 South Main Street in downtown Salt Lake City. Entry is $5 for adults, while children 12 and under are free. Buy your tickets now!